Mikhail Kutuzov was known as a prominent Russian for being a infamous commander of the military and diplomat. His most famous moment in history is when he successfully repelled an invasion on Russia by Napoleon in 1812. Kutuzov was born on September 16th, 1745 to a Novgorod nobility family. The military life ran in the family as Kutuzov’s father worked as a military engineer as well as a general and senator. Unfortunately Kutuzov’s mother died shortly after he was born so he ultimately was raised by his grandmother. Kutuzov was very active as a young boy and maintain a fit physic. He was also equipped with a mind that was as sharp as it was bright and a heart that was very open. At the age of twelve Kutuzov attended school at Saint Petersburg artillery &engineering school. He quickly became a corporal. In 1759 he graduated at the top of his class and began his career there as a teacher of mathematics. 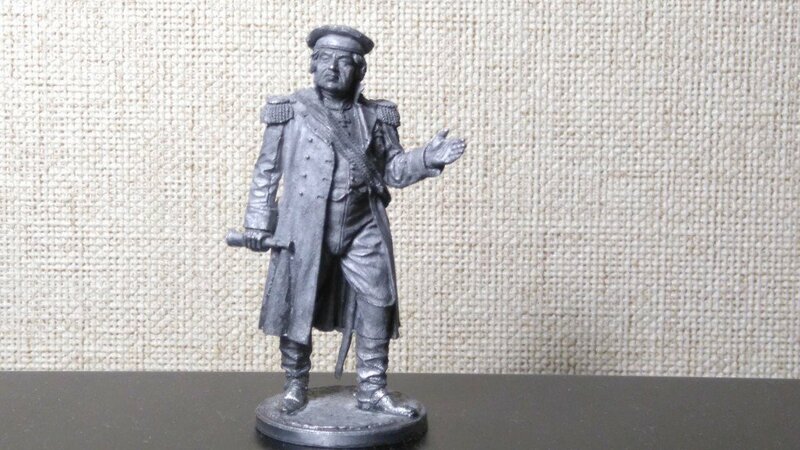 In 1761 Kutuzov achieved the rank of first officer and then in 1762 he advanced to captain. Shortly after he was made commander of the Astrakhan infantry. He there shadowed infamous general Aleksandr Suvorov. Due to the recognition of his father and his prominent education Kutuzov’s career was skyrocketed. From 1764 until 1765 Kutuzov worked as a volunteer solider fighting the rebels in Poland. Later in 1767 Kutuzov was appointed by Empress Catherine to establish new codes of law. In the following years of 1768-1774 he fought in the Russo- Turkish war along will battles in Bender, Cahul, and the River Larga. He was established as General in the Pytor Rumyanstev’s army. Kutuzov was in a near fatal attack on July 24th of 1774. He was shot while battling the Turkish troops in Alushta. The bullet stuck his temple and went clear through his right eye. His survival was a miracle. After this battle Kutuzov was awarded The St. George 4th Degree of Order. He was in recovery in Europe until 1776. During this period of time he continued with his studies of the military. When Kutuzov returned to Russia he was deployed again to Suvorov’s to aid in maintaining the Crimea region. Only one year later Kutkzov was appointed rank of Colonel. Kutuzov was married to Ekaterina Bibikova on the 27th of April in 1778. He met this young woman through the Empress Catherine as Ekaterina was the daughter of a close friend. Together Kutuzov and Ekaterina had six children. They only bore one soon who died as a baby due to illness. Over the years Kutuzov gained rank as major general after commanding many different battles. In 1784 he led a diplomatic mission as he was told to reason with the Crimean Khan to step down from his position of power. He needed to Khan to recognize Russia and the Southern lands as his superiors. Kutuzov was successful in completing this mission and was appointed as the major general of the ranger corps in the Ukraine. From 1787 until 1791 Kutuzov lead his troops of ranger corps into the Russian – Turkish was. In 1788 during battle at the Ochakov Fortess Kutuzov was shot again in the head. During this attack the bullet went straight through booth of his temples. His survival was again nothing short of a miracle and his surgeons was astonished that he lived through such fatal wounds. He was believed to truly have a destiny worth living for. From 1805-1812 Kutuzov led the Austria opposition against Napoleon’s invasion with success. This is the largest achievement Kutuzov is known for today. 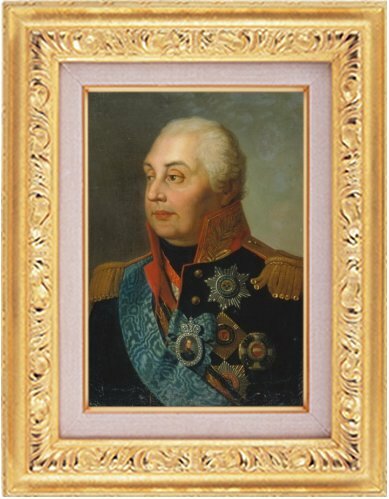 Kutuzov later died on April 13th 1813 in Bunzalu. He lived a very noble life as a relentless military leader, politician, and diplomat. Kutuzov had a devotion to Russia that was lodge deep into his heart. His moral will be unforgettable.